Working for a company that manufactures goods in China, I have spent the better part of the last three months talking about the Tariff Situation. 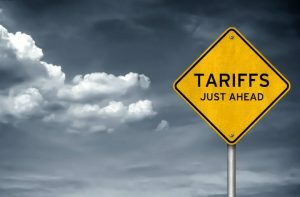 Tariffs for breakfast, lunch and dinner. 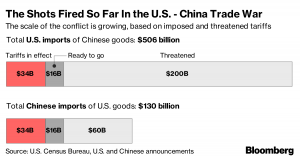 Tariffs in every conference call and face-to-face meeting. Hell, they even come up at backyard parties in casual conversation with people I barely know. The bulk of these discussions are negative. Tariffs are: “bad for the economy, bad for our business,” etc, etc. However, when the smoke clears, what has been underlying all the noise is that companies can positively separate themselves by the way they handle this impending doom. My company makes most of the products we sell at our facility in Hangzhou, China. Our customers make commercial lawnmowers, locomotive components, truck parts and even French fry scoops. Their initial reaction to the news that the parts they buy from us may cost an additional 25% is not good. All companies engaged in similar operations are faced with the same reaction from their customers, despite the fact that we’re merely the messenger. While the news seems negative, it creates an opportunity to differentiate yourself from the pack. The best way to weather the storm is to address the tariff situation using the basic principles of crisis management. Advice books about crisis management do not crowd the shelves of many company managers who are making things in China, so they might be uncertain how to handle all the pushback and negativity from customers. The first step is to get out in front of the problem: tell everyone in your circle, including employees, customers, suppliers and anyone within earshot, everything you know. Then make a public statement about how you are handling the tariff situation. At its core, it is an additional tax on goods produced in China. Period. As an importer of record, this means the cost of goods being sold just increased by 25% and is an out-of-pocket expense at the time the goods arrive. As the seller of record, you have added 25% to your cost of sales. This cost becomes part of the accounts receivable, thereby burdening the importer/seller’s balance sheet. That’s the reality. Some customers may believe there is a workaround, a negotiation or an alternative. In this case there is not, but therein lies the opportunity. It starts with the premise that any situation that requires dialogue with a customer is an opportunity, but the key is to have the right approach. There is about a 0% chance that a voicemail message saying, “I want to chat about how things are going. Give me a call when it’s convenient,” will generate a callback. However, if you leave a message that says, “We have to talk about tariffs. It could add 25% to your current order. I need to give you the real story,” I’m pretty sure you will get a return call. If you know the facts, you can add value. When you do engage your customer, you can help them understand the issue because you took the time to learn about it. You are adding value by providing information that will make your customers smarter. In turn, the facts get passed along to those-who-need-to-know. This creates the favorable situation where you, the supplier, become an important source of knowledge, which enables you to control the message and deliver it in a more desirable context. Any issue can be “spun” to change how people perceive it. For example, two different headlines: “Trump Implementing Tariffs Could be Disastrous to American Business” and “The U.S. Trade Representative Office Exploring Additional Tariffs” present dramatically different perceptions, even though they are based on the same set of facts. You can’t change the facts, but if you engage the customer you can control the way they are perceived. This gives you credibility because you are speaking the truth, and provides the opportunity to talk about how to address these facts proactively. Being angry or frustrated in the presence of customers depletes confidence and demonstrates a lack of control. I’d rather be the understanding one with the knowledge than the proverbial messenger that delivers bad news. The implementation of tariffs is bad news to companies like the one I work for and our customers; that’s a given. Being out in front of the tariff situation, being current with accurate information and conveying what positive steps can be taken to deal with it will put you in a much better light with customers than complaining about it.